If you want to grow your business, you’ll probably need funding at some point. The challenge, however, is that it’s difficult for startups and businesses without a solid track record to obtain bank loans. As a consequence, many small business owners rely on their personal credit to secure loans. Getting approved for loans, of course, depends on your credit score. Let’s look at some ways to improve your credit score so you can fund your business. In order to work on improving your credit score, the first step is to review your credit report which you can order from several credit reporting agencies. 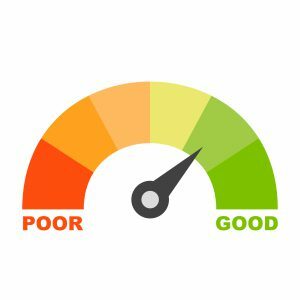 Any mistakes in your credit report can harm your rating. If you do spot any errors, be sure to report them. Make it a habit to review your credit report regularly. Credit cards can either help or harm your credit rating, depending on how you use them. One practice you should avoid is applying for many different cards and shifting your debt from one to the other. This doesn’t do anything to reduce your debt in the long run. You’re better off focusing on paying off credit card debt as quickly as possible. On the other hand, a business credit card is a helpful tool for building credit. Use this card for all of your business expenses and pay your bills promptly. This is the first step in establishing business credit, which will make it easier to obtain financing in the future. Use freeware or free mobile apps rather than costly software. Hire freelancers on a per-project basis rather than full-time employees. Downsize to a smaller office or warehouse if you don’t need much space. Track your marketing costs and make sure you’re getting a solid ROI. One of the key factors in improving your credit score is making all of your payments on time. The most efficient way to ensure you pay your bills on time is to set up auto payments. The only caveat here is to make sure you can cover automatic payments. If you’re uncertain, it’s better to pay manually while making certain that you do so on time. These tips can help you improve your credit score, which makes it easier to obtain financing. Another solution is to look into invoice factoring, which is often available to newer businesses that have trouble securing loans. When you factor your invoices, you receive immediate cash without incurring any debt. If you want to find out more about invoice factoring, contact Riviera Finance.